We have only two races remaining in this 2017 NASCAR season! Where did the time go? When I ask that question of myself, in the back of my head, I hear vaguely the words of Bob Seger and The Silver Bullet Band. This week all three series roll into the Valey of The Sun. Technically the race track is not located within the city limits of Phoenix. No, it is actually located west of the the city in Avondale, AZ. Once again Your Most Humble Sheriff will have media credentials for the weekend of great racing at PIR. 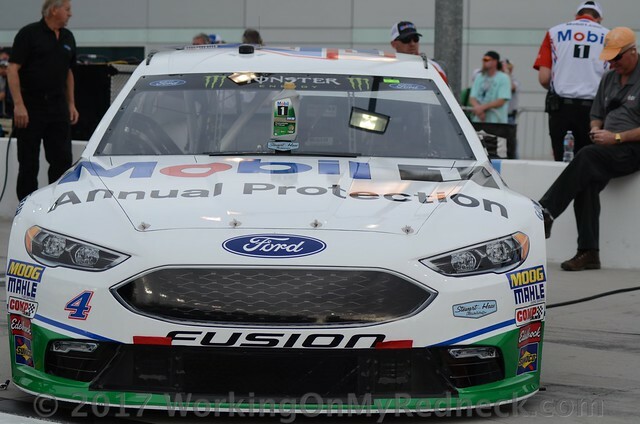 Surprise, surprise more than one quarter of the the fantasy league have jumped on board with Kevin Harvick at Phoenix! There are six players that includes, Doug The Gandy Candy Man, Cole The Redneck Understudy, Jim, aka Chiefy, Kathy The Church Forecloser, Karen The Highly Opinionated Southern Belle, as well as Your Most Humble Sheriff who are betting the farm that “Freaky Fast” Harvick can go back-to-back at PIR. Additionally, it appears that those players have done their homework when it comes to Phoenix and Harvick! Meanwhile, Lonna The Quilt Angel, Bobby Blue Crush and A&M Aggie Sue all are riding shotgun with the Spring Phoenix race winner, “Rocket Man” Ryan Newman. There are four drivers that have a rooting section of two players each this week. Leading the list is Skid-Marc and Bernie The Bay Area Bandit who are together on their focus and hopes for their man Kurt Busch. Just as passionate in their support for Chase Elliott this week, and hoping that he can register his first MENCS victory at Phoenix, is Edie The Las Vegas Super Star and David The Mudslinging Throttle Jockey. Both Carlton The Doorman and Zee, aka Sissy, are backing one of the premiere “punters” in this series, Denny Hamlin, this week. Lastly, Jerry The Buschwacker and Jeremy The Coach are hoping that Kasey Kahne can add one last victory while he is still in a quality race car! Good luck to all in Phoenix! If you all thought that the race at Martinsville was exciting and suspenseful, just wait till the green flag flies at Phoenix this weekend. Over the last few years this race has been one of the highlights of the entire race season.! As the laps wind down it is like a bunch of “riders on the storm”!